Zimeng wrote in her dairy: “ I want to survive. I don’t want to go to the heaven. Zimeng’s mum bought a pair of shoes for her little daughter who didn’t even take them off when she was sleeping as she has hardly worn shoes since she became ill. She would like to be a normal healthy girl. She dreams she could be dancing with beautiful shoes. Please help to give this brave girl a chance of dancing again. 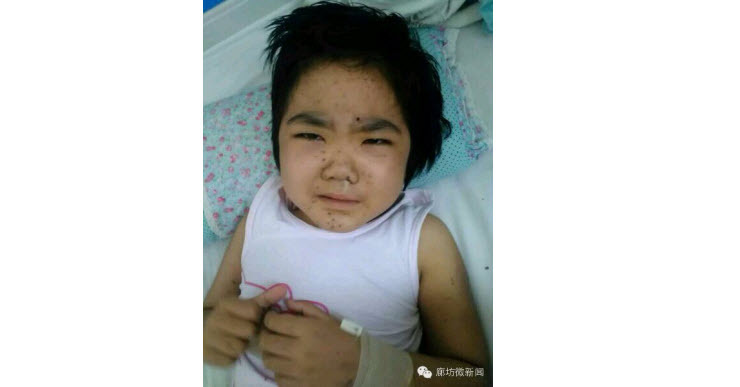 In total we need to raise 100,000rmb for Zimeng. Without it little Zimeng will die. Wang Zimeng is 8 years old and comes from the countryside of Gan Su province. She has had leukemia-aplastic anemia since July, 2013. Her father is a soldier and her mother has no job. The only income is father’s salary 4,800rmb/month. Zimeng had nosebleeds 3 times in the beginning of July, 2013. 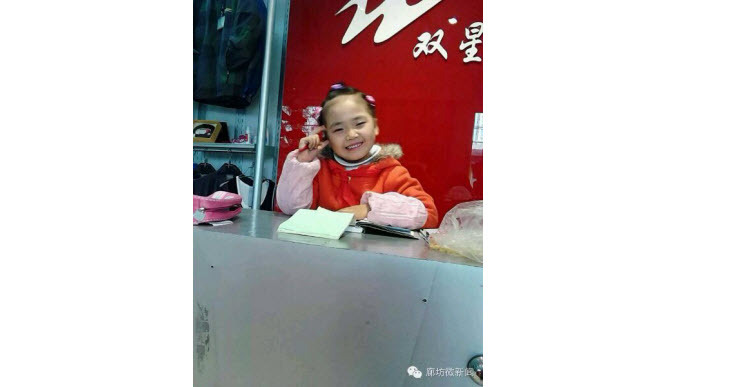 Her parents took her to the local hospital in Gan Su. They were told she had a terrible blood disease. 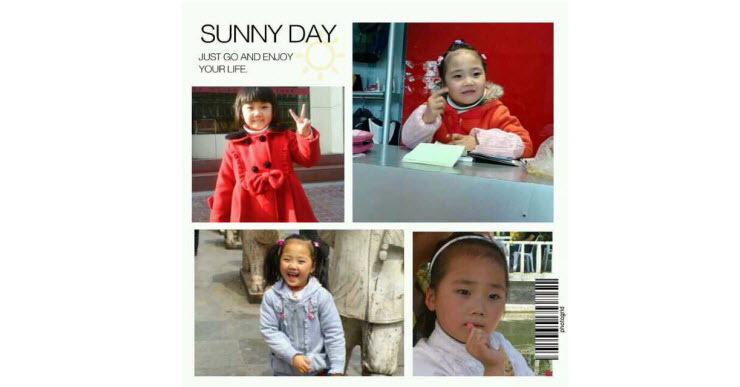 Not believing this could happen to their lovely 7 year old girl her parents then took her to a bigger and more authoritative hospital in Gan Su. Sadly it was true. 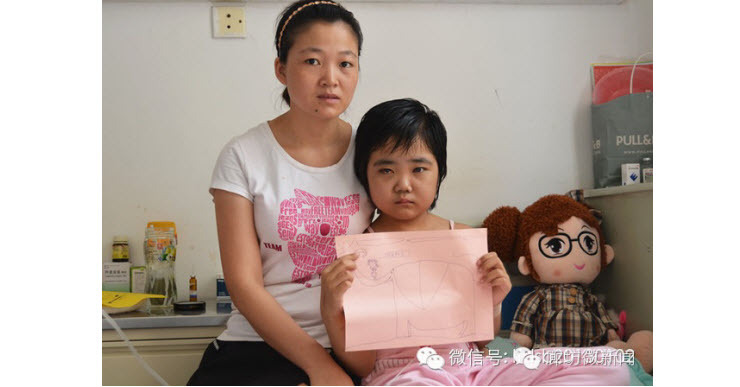 Wang Zimeng was diagnosed with leukemia- aplastic anemia. With money kindly raised by friends, family and her school Zimeng underwent ATG treatment in Sept 2013 but very sadly it was unsuccessful. Suffering from a fever and low blood count Zimeng was transferred to Lang Fang Chinese Medicine Hospital in March,2014. It took 2 months to stop her fever. The cost was nearly 100,000rmb each month. Now all the money the parents had managed to raise has been used up, but the blood cell count is still in decline. A bone marrow transplant is her only hope. Yan Da Hospital have found 2 matching donors but the family simply do not have the 500,000rmb needed. They asked help from Lang Fang Wei News, Lang Fang City News, Lang Fang Zero Range and Yan Zhao City News. They received 300,000rmb donations through this channel. 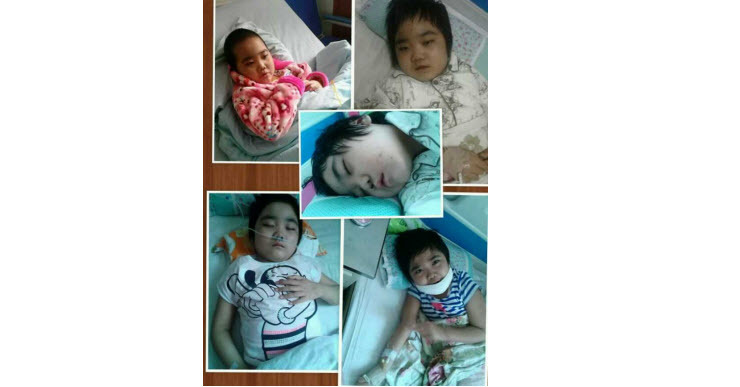 100,000rmb has been used so far as Zimeng needs transfused blood and platelets all the time to keep her alive. 250,000rmb needs to be deposited in her hospital account in order that the transplant can proceed. Plus 50,000rmb is needed to pay for the matching donor. PLEASE, PLEASE HELP by donating what you can. 100% of all cash donations received will be paid into her hospital account. Please contact us to ask for ways to make a donation. Donations of goods will be sold with all proceeds going towards Zimeng’s hospital costs.